Domestic Ticket Sales Hit 19-Year Low since 1995, Is Netflix to Blame? In 2014, movie ticket sales dropped to an all time low while online streaming services have hit its stride financially over the past few years. The average video consumer has been split into two groups: those who preferred the traditional movie theatre experience and weekly aired television shows and those who enjoy streaming entertainment at their leisure. In recent years it seems as though the latter group is growing significantly. The number of moviegoers in North America was at its lowest in almost two decades based on preliminary estimates, according the Hollywood Reporter. 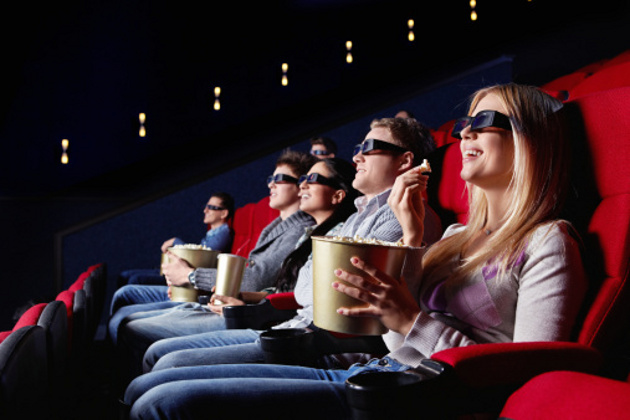 1.28 billion people went to the movies in 2011, that number decreased to 1.26 billion per year by 2014. Big budget franchise films are even in the midst of releasing in theatres at the same time as online streaming services. Meanwhile, by the end of its fourth quarter in 2010, the popular video streaming site Netflix reached more than 20 million subscribers. That number has almost tripled with more than 50 million paid users by the end of 2014, according to the company’s most recent financial reports found on its website. In 2013 the amount of cable television consumers dropped by a quarter million, according to Bloomberg.com. This decline in television providers is due to the rise of online streaming services like Netflix, Amazon Prime, Hulu Plus among others. Netflix, taking note of the shift in the way media consumers are taking in their media, recently signed a contract with the Weinstein company to release the long anticipated Crouching Tiger, Hidden Dragon: The Green Legend. The film will be directed by Woo-Ping Yuen (Drunken Master, Iron Monkey), famous here in the States as a stunt coordinator for dozens of action films like Kill Bill Vol. 2 and Kung Fu Hustle. Veteran filmmakers like Yuen along with the many upcoming directors find themselves shifting towards online services to distribute their work. While statistics have shown video streaming has become increasingly popular, many students here at York College still enjoy going to the theater and watching cable and believe that particular form of entertainment is going nowhere. As time continue to progress, the majority of video consumers will substitute the original film viewing theater event for a more comfortable online streaming experience which gives customers the ability to watch any movie or tv show at any place or time. However, trend like this can never be predicted. With the discovery of films in the early 1900’s, people often thought that live theater would become extinct as well but that media is still very much alive today. Predicting media trends is difficult. But stream is the newest addition to the way we enjoy entertainment.